Congratulations to Cadet Evan Boechk! 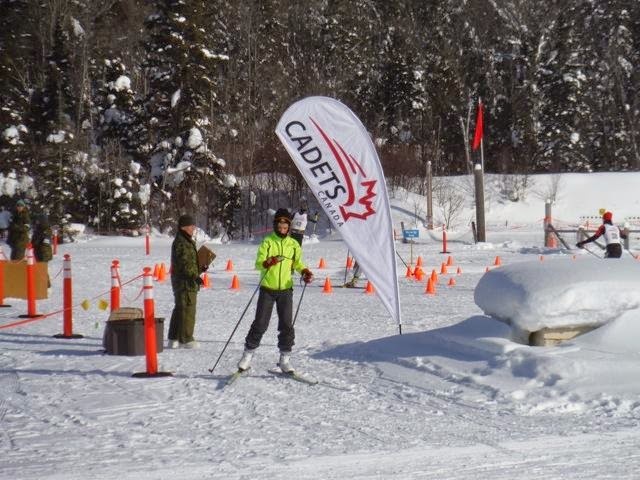 He attended the Provincial Biathlon Competition this past February in Sault Ste. Marie. GREAT JOB This is was a first for 325! The first biathlon team was established at 325 in 2011. The team consists of 10 members with a minimum of 3 female and 3 male participants. The competition takes place in January at the regional level with opportunities to advance all the way to National championships. The circuit 5kms ski, 5 round shoot, 5kms ski, 5 round shoot and one final 5 kms ski for a total of 15 kms skying and 10 shooting rounds on a 0.22 mm Anchuz riffle.